George Springer was the first mega prospect to get the call up to his MLB club, the Houston Astros, and it looks like teammate Jon Singleton isn't far behind. There is another Astro slugging away at AAA, but unfortunately for catcher Max Stassi, the big league club already has Jason Castro. But Houston did move to the American League where they can play a DH, so we will see how that plays out. Never hurts having two catchers that can hit! 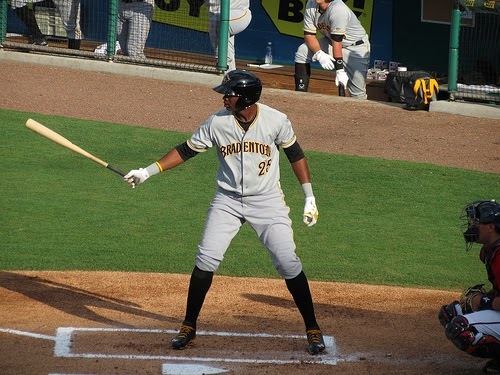 The Pittsburgh Pirates need to evaluate what they have at the Major League level before they give Gregory Polanco a shot. Polanco has been nothing short of great this season at AAA Indianapolis, but with Andrew McCutchen and Starling Marte locked up, there is just one spot for Polanco. Polanco is just 22 years old and there is no need to rush him into the Majors, especially given George Springer's struggles. Both the Astros and Pirates offenses are struggling and could use these young bats in their lineups, but both teams are highly likely to worry about Super Two status.